Want all the dewy goodness of an indulgent facial but without the price tag? All you've gotta do is become BFFs with your highlighter. It's that simple. You don't have to go overboard as a little dab goes a long way and a high shine face is never a good look, especially for those with naturally oily skin. Think less sweaty tube ride, more ethereal and pearly. Luminous skin is a timeless beauty trend, perfect for runway models to mums with zero time and 20 somethings loving the party lifestyle. Whether you're jet lagged, sleep deprived or just failing in the fresh faced department, highlighter is your go-to defence against dark circles, bags and puffiness. As with any makeup it's all in the application. Highlighting should place emphasis on the high points of your face without looking like it's sitting on top of the skin. It's about achieving that professional polished finish that's chic and natural. The best way to do this is to apply it as part of your base, either by mixing it in with your foundation or applying it afterwards. Working it into the skin, create seamless contours in synergy with the rest of your base. If the finished result looks something like well moisturised skin then you've got it spot on. To make sure your skin takes centre stage leave the rest of your makeup as minimal as poss. We left our lashes bare and went for a hint of pink on the lips and cheeks to make sure the highlighter really did the talking. Go easy on the powder too, a dusting across the T-Zone should be plenty. 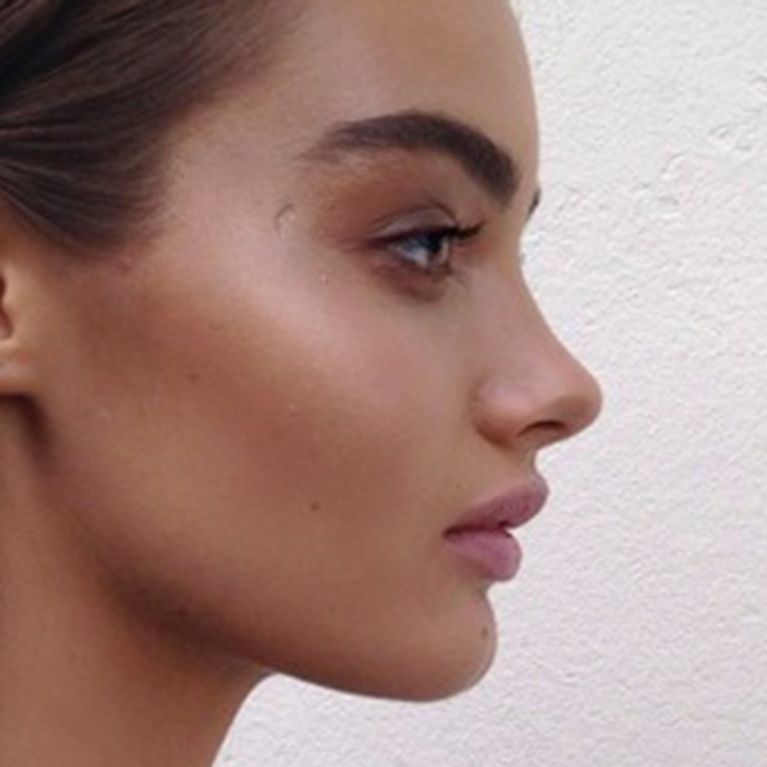 This dewy make-up tutorial is refreshing, hydrating and guaranteed to get those 'wow...your skin!' comments and who doesn't love those? Here's what you need to know. Can We Stop Using Weird Objects To Put On Our Makeup Now Please?